Scientists have found that if you lean to the left, you think Michael Jackson had fewer number one hit singles than if you lean to the right or stand up straight. If your posture leans to the right, on the other hand, your estimate increases. If you lean left you also think the Eiffel Tower is shorter than if you lean to the right. You think there is less alcohol in whiskey, and you will guess that Queen Beatrix of the Netherlands has fewer grandchildren than if you leaned to the right. This is a real study soon to be published in the scientific journal Psychological Science. The researchers, who were from Erasmus University in Rotterdam, used a Wii platform to measure the amount of leaning and they asked the study volunteers, who were college students, to stand up straight. A screen told them they were standing up straight even when they were leaning, apparently to prevent any bias. Apparently the take home is that your posture can effect your decision making. Or, is it a conspiracy against lefties to paint them as pessimistic downers (do lefties even lean left)? Is it a public service announcement for better posture? 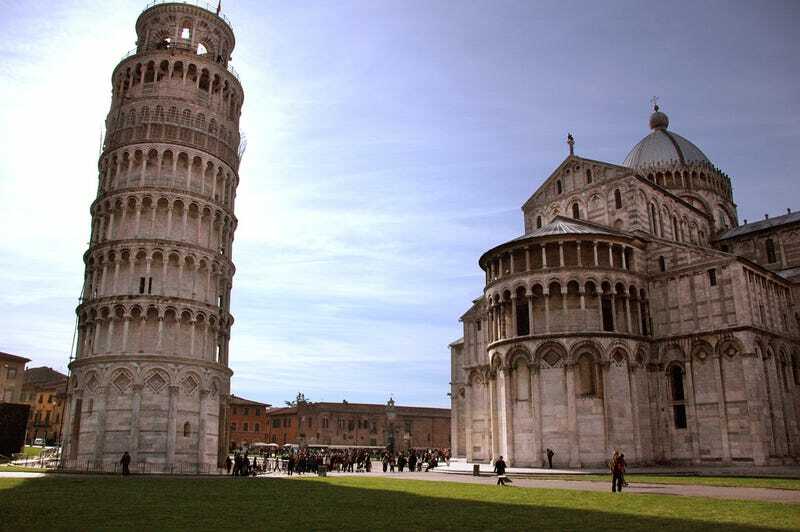 And how, pray tell, would this influence estimates regarding the Leaning Tower of Pisa?